Spoil yourself on the best day of the year and get a birthday limousine in Los Angeles to help you celebrate! Make your entrance grand and celebrate in style. Our friendly staff is committed to making your birthday memorable. Our fleet of luxury sedans, SUVs, and stretch limousines are clean, low-mileage vehicles that arrive picture-perfect for your big day. 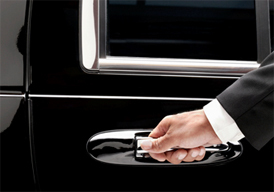 We offer birthday packages with popular SUV limos such as the Hummer limo and Escalade limo. You can schedule a pick up from the destination of choice such as your home or hotel, and schedule several stops or simply use our As-Directed service if you are winging the night! Depending on the vehicle of choice, we can offer per hour pricing and or fixed all-inclusive prices. Our team is standing by 24 hours a day to respond to all of your birthday limousine needs in Los Angeles.